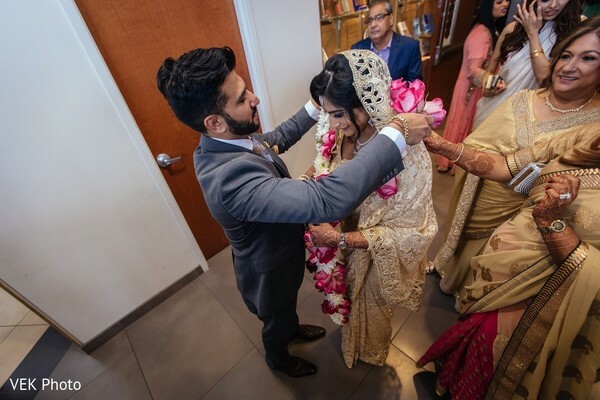 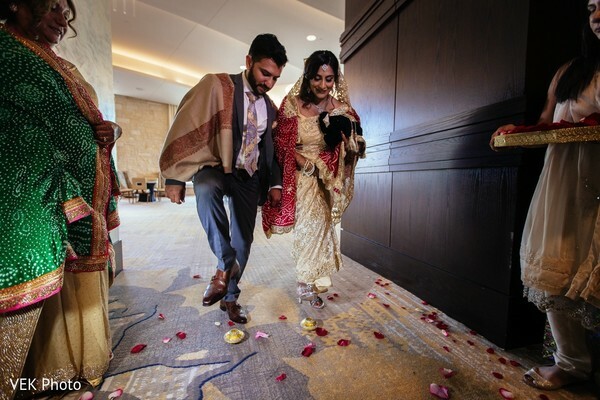 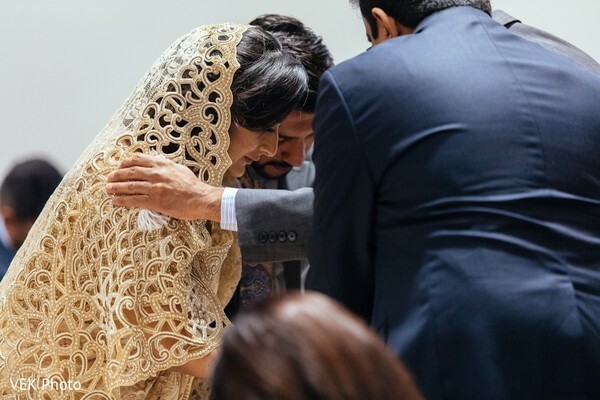 With lots of love and merriment from their family and friends, Kiran and Malik decided to join their lives in a religious ceremony in accordance to the Muslim custom! 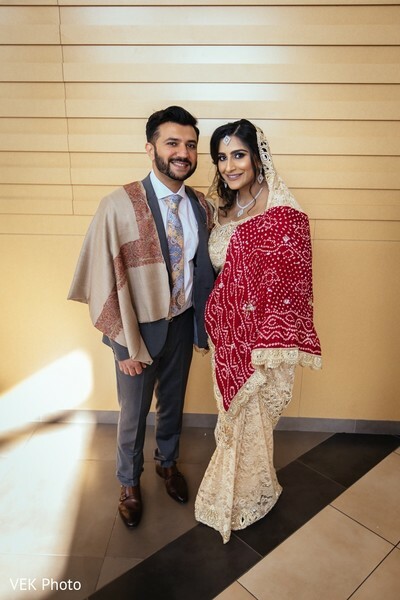 The Crystal Banquet Hall harbored the lovely union and Vek Photo had the privilege of capturing the bride and groom in all their glory! 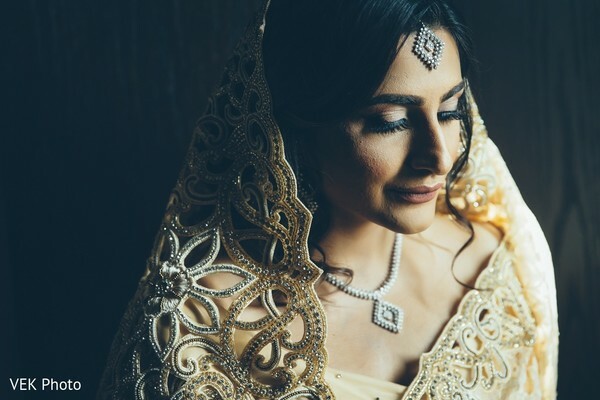 Wearing a classic cream attire while she embellished her look with minimal jewelry which gave her an elegant vibe for the camera. 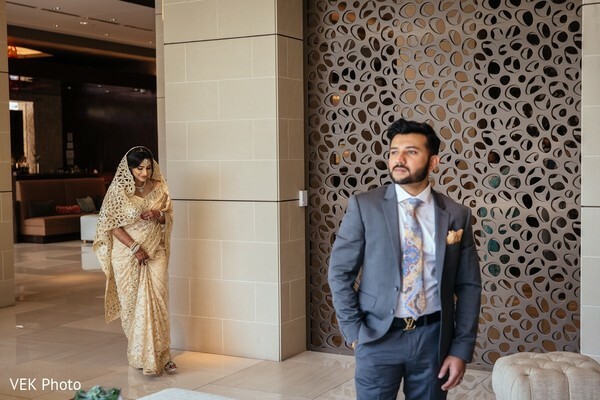 Next to the lovely bride, Malik pose in a grey tailored suit that he finished off with a cream color pocket handkerchief that matches the bride’s saree color! 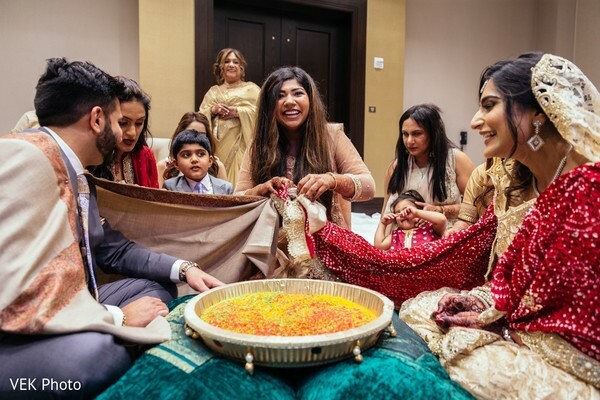 After the Nikkah ceremony, the cute couple was surrounded by their loved ones to begin with the fun part of the event: The Khoba Khobi games! 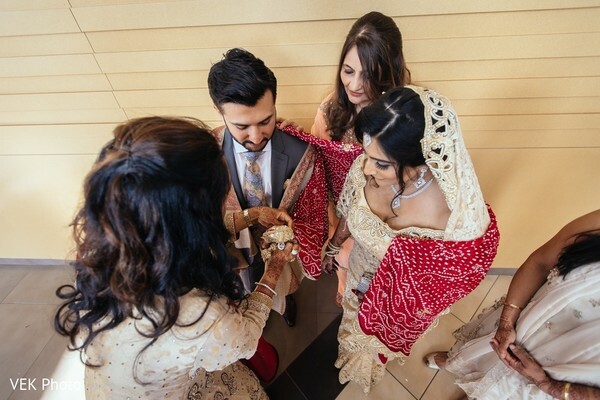 See who found the coin inside the colored rice in the sublime images in our full gallery by Vek Photo! 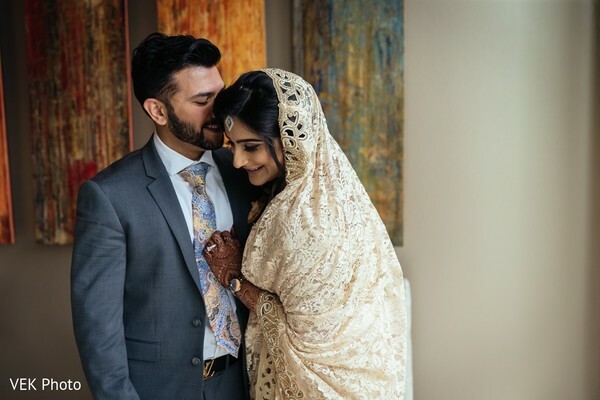 You are going to absolutely love the reception images coming up next!